Flammable materials and vapors present a significant risk of fire for many industrial processes and environments. 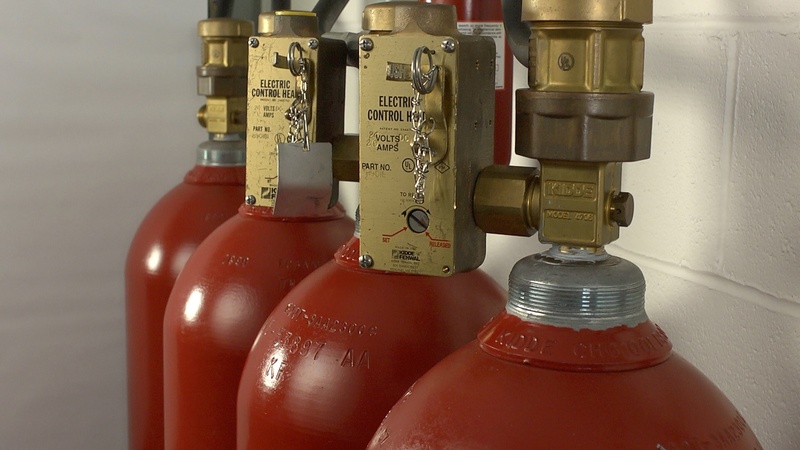 FE-13 Fire Suppression Systems from Kidde are clean agent fire protection systems for special hazards. Novec 1230 instantly vaporizes upon discharge, totally flooding protected spaces and absorbing heat better than water. Kidde Fire Systems is an elite manufacturer of fire protection products. For nearly 100 years they have focused on protecting people and property from fire earning a reputation as being one of the most trusted names in the industry. ORR has been a distributor and trusted Kidde expert for over 25 years. Our teams are manufacturer trained to offer a range of consistently high quality services; including, fire protection surveys, design, installation, maintenance and training. Kidde offers a wide range of proven technologies to serve the diverse needs of virtually every industry. Kidde productscombined with ORR’s national footprint for installation and service, allow us to provide you with a total system solution to solve your mission critical fire protection needs. Kidde Fire Systems produces a range of products to suit every challenge; Commercial, Industrial and Institutional. Each market segment requires study and careful consideration of unique demands for product performance.